Sure, becoming a PADI Pro can bring paychecks in paradise, but it also opens the door to so much more. Here’s what else you can gain. Becoming a scuba instructor isn’t easy—otherwise everyone would do it. It tests limits mentally and physically. Some of the physical requirements, from the swim tests to the underwater gear exchange, make most folks slow down and really concentrate. But overcoming each and every challenge makes the overall victory so much sweeter. For some students, becoming a PADI instructor is their proudest life accomplishment. 6. It can open the door to other water-related careers of science and exploration. 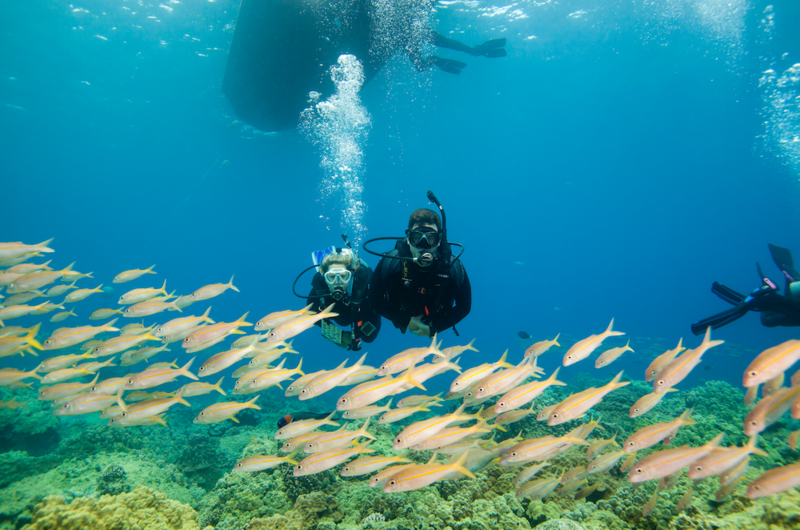 Once you’re a scuba instructor, you can segue with those credentials into other careers, such as science support, which entails delivering scientists safely to the fields of their study. This includes bringing marine biologists to the icebergs and walls of underwater Antarctica, as did Paul Rose, who went on to become the base commander for the Rothera Research Station on the southernmost continent. 5. Or pick up law-related work. Instructors are also needed to train police forces in underwater safety and search-and-recovery tactics. 4. Or work in Hollywood. Hollywood has an ongoing demand for underwater stunt people, as well as safety divers. Being a card-carrying instructor proves you know how to keep people, including actors, safe underwater. 3. 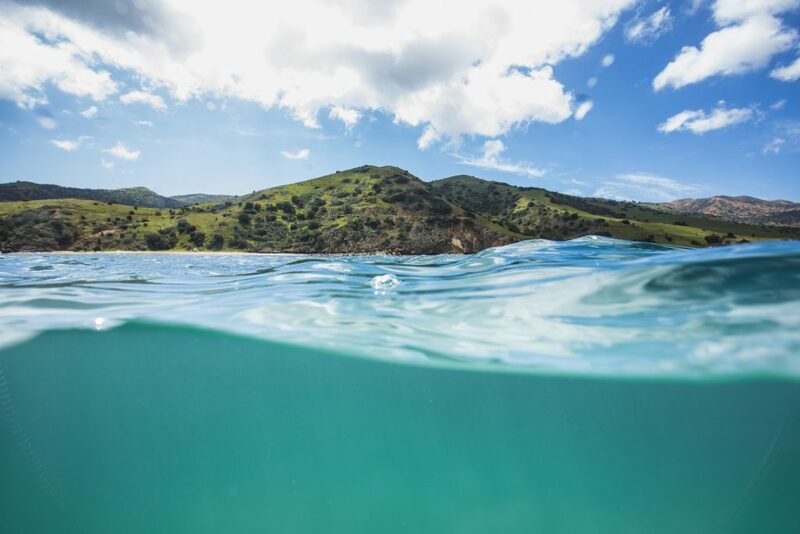 Make a difference in marine conservation. 2. Fall in love with a fellow marine-loving adventurous soul. When Instructor Charlotte Faulkner moved to the island of Nassau to start working at Stuart Cove’s Dive Bahamas, it was to dive with Caribbean reef sharks and share that experience with guests. She didn’t set out to fall in love, but that’s exactly what happened when she met fellow instructor Beto Barbosa. The pair has since married, and now work together at Anse Chastanet Resort on St. Lucia. 1. Or just fall in love with the world. 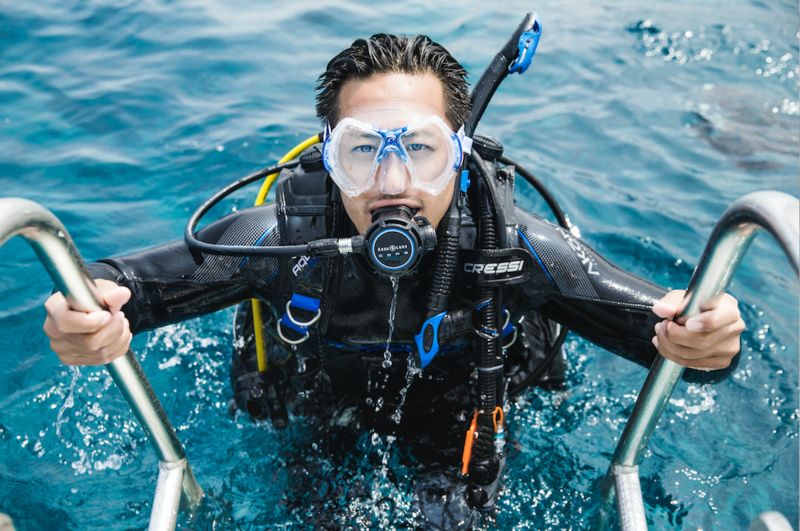 For many PADI pros, the instructor rating comes with the chance to work overseas, be it the Cayman Islands, U.S. Virgin Islands, Mexico or a host of other locales. And for some, it’s not a question of choosing where so much as when, as it’s fairly common to hopscotch across the globe, taking on one-year contracts until you’ve not just visited the most enviable vacation spots, but called them home. Ready to take that next step? Learn more about how to become a PADI Pro here or check out these Top Skills for Aspiring PADI Pros.